I have been sitting at my desk for hours now trying to figure out what to post about. I had a few ideas but then when I checked my blog to see if I had posted about them already, I had. Some subjects I have revisited and that, to me, is fine, when I consciously revisit a subject to add to it or change my opinion on it or to talk MORE about it. But I don’t like it when I post about the same subject again as if I didn’t post about it once already. I know I have done that at least once, I am sure I have done it more. I really try not to do that. I search my blog but sometimes posts don’t come up for the search I am using at the moment. Sometimes I KNOW I posted about something and I still can’t find the post. Anyway, my husband has been coming in to show me some clothes he is considering purchasing. Then he said, “You should post about that.” He was talking about (Amazon) Prime Wardrobe. 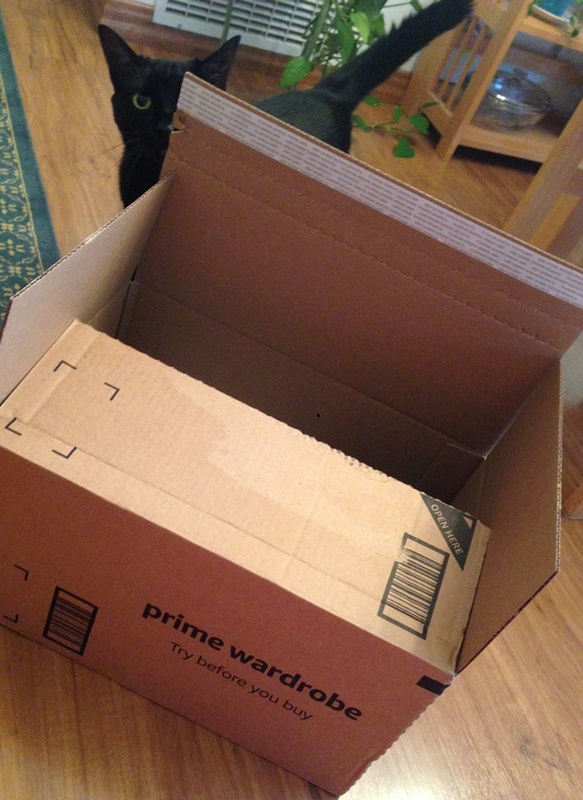 I had never heard of Prime Wardrobe, but a couple of days ago my husband said something like, “I am buying some clothes. Well, maybe?” I was confused so I asked, “What do you mean ‘maybe’?” And he explained that Amazon has a pick, ship, try on, choose, and send back service. So he picked out some clothes, they were delivered, he tried them on, decided what he wanted to keep, then is sending the rest back. I know there are a lot of services like that – like Stitch Fix, but I didn’t know Amazon had one. It is for Prime Members. I sometimes buy clothes or shoes from Amazon and I make sure they have FREE RETURNS, but this is a whole new ball game! The clothes come in a resealable box. That is cool. Usually when I buy something I open the packaging very carefully so I can put the item back in it and carefully tape it closed, but this box has a strip that you use to seal it back up. Well, as usual, when I find something I find interesting I like to share it. Especially since that is how we all learn things. We share. Did you know Amazon had this service? Have you ever tried a service like this (I know they have a lot of different ones)? WOULD you ever try a service like this?